「Inquisition Symphony」より"Nothing Else Matters "
試聴できるサイト→sample2「William Shakespeare's Romeo + Juliet: Music From The Motion Picture, Volume 2 (1996 Version) 」より"O Verona"
Kikujiro (soundtrack) by Joe Hisaishi"The Rain"
「Proud Mary」より"Proud Mary""Sweet Rhode Island Red"
アルバム「Song from a Secret Garden」の"Adagio"
(FP)Moulin Rouge (soundtrack) by Jose Feliciano「Moulin Rouge　２ 」より"Bolero"
英題"Butterfly Lovers Violin Concerto "
Defending Skate Canada champion Alissa Czisny of the United States settled for fourth this time around, but she was not unhappy with her performances. “I think the competition here is a little bit harder than last year,” Czisny said. It wasn't so much, perhaps, that the competitors were superior but the caliber of performances was considerably higher than last year. Canada's Joannie Rochette grabbed the gold with a superb finale, jumping all the way from fifth in the opening round. As 5,300 fans leapt to their feet in a roar of approval, the two-time Canadian champion breathed a sigh of relief. Rochette scored 118.26 for her finale – a flamenco styled by David Wilson – and 173.86 in all. Both scores were personal bests. She hit six triples, faltering only the loop which she popped into a single. The silver medal went to Japan's Fumie Suguri, the World silver medalist, who notched 168.76 points in total, a mere fraction of a point ahead of first round leader Yu-Na Kim of South Korea. Kim ranked just fourth-best in the free skate behind Czisny, but hung on to the bronze medal position in her senior competitive debut. Suguri hit five triples in her “Song of Spirits” program styled by Lori Nichol. Afterward, she reported that a hamstring injury in mid-October had prevented her from being completely ready for this competition. “The Lark Ascending” couldn't be a more fitting music choice for the graceful Kim, one of the sport's new stars, who was too young to compete at the 2006 Olympics and World Championships. Despite a fall on one triple Lutz, the 16-year-old held the audience spellbound as she floated across the ice. The positions in her spins, including an upside-down camel, were exquisite. Czisny debuted her new free skate set to music from the Audrey Hepburn film, “Sabrina.” She looked the part in a strapless black dress with silver trim. The program is sublimely sophisticated, cleverly emphasizing Czisny's elegant lines. When choreographer David Wilson first suggested the Sabrina music, Czisny thought it was boring but having seen Wilson's work, she trusted he would make it interesting. Czisny scored full marks for four triples, had her Lutz downgraded for under-rotation and singled the loop. She scored 107.57 points, giving her 163.69 in all, close to the personal best she scored at this event last year. I felt like I had fun out there. I was relaxed, did what I needed to do,” said Czisny, who will go to Moscow with Weir. American Katy Taylor, the 2006 Four Continents champion, had a difficult outing, finishing 12th in the 12-woman field. She managed to complete just two triple jumps successfully. Taylor was 11th at Skate America last week. (11/4/06) - Three-time U.S. champion Johnny Weir knew he could take the Skate Canada title on Saturday if he just did his job. He didn't and he didn't. But, neither did Stephane Lambiel and Daisuke Takahashi the men who finished one-two. Weir settled for third. Lambiel, the two-time World champion and Olympic silver medalist, climbed back all the way from seventh in the short program to the top of the podium. Despite the win, the Swiss champion was far from his best- the triple Axel eluded him, he fell on one quad and flipped off the landing of another, then doubled a flip. To finish on top he needed help, and he got it. Japanese champion Takahashi, who was top man in the short program, popped his quadruple into a wide open single, struggled to stay upright on the landing of one triple Axel, fell flat off the take-off edge of the loop and crashed again on a flip jump. Weir, second after the short, spun out on the landing of his first triple Axel and doubled a loop and flip. He ranked fourth in the free skate with 122.42 points behind Canada's Shawn Sawyer. Lambiel collected 146.25 points in the free skate, 210.70 overall. Takahashi's program earned 129.41, giving him 208.21 overall to Weir's 198.70. Weir heads to Moscow in two weeks for his next assignment at Cup of Russia. Due to a shortage of preparation time, Lambiel used last season's “Four Seasons” program. He plans to unveil his new modern flamenco free skate at the NHK Trophy in Japan later this month. Weir, who ranked fifth at the 2006 Olympic Winter Games, debuted his free skate in Canada, choreographed by 2002 Olympic ice dancing champion Marina Anissina. Both Lambiel and Weir said they had little time to recuperate from the demands of the 2006 Olympic season. Show tours kept them on the road for most of the summer. 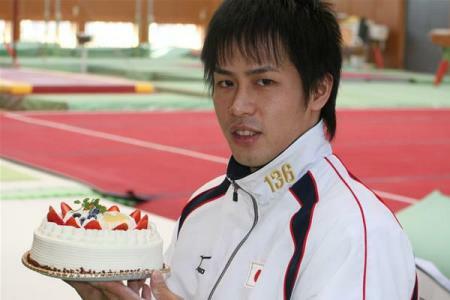 Takahashi, eighth at the 2006 Olympic Winter Games, was unsure what caused his problems on Saturday. Through an interpreter he said he had not made these mistakes in practice this week. Geoffry Varner, competing in his first-ever senior competition, finished 11th with 148.57 points. He struggled to hold the landings of several jumps and fell on two. France's Yannick Ponsero, who finished sixth, is the only singles competitor scheduled to compete again next week in the third Grand Prix event in Nanjing, China>. Competitors generally receive two GP assignments and earn points based on their placements. The top six points-getters in each discipline will compete at the Grand Prix Final in St. Petersburg, Russia, in December for $272,000 US in prize money. (11/2/06) - South Korea's Yu-Na Kim lived up to her advance billing as a champion-in-the-making in her debut as a senior competitor Thursday at Skate Canada. The 16-year-old outdistanced her closest challenger, Japan's Fumie Suguri, by more than four points in the women's short program. Suguri, the World silver medalist, earned 58.52 points to Kim's 62.68, while Susanna Poykio of Finland ranked third with 57.62 on the board. Defending Skate Canada champion Alissa Czisny of the U.S. is fourth and within striking distance of the podium with 56.12 points. Kim, who upset Japan's Mao Asada to take the World junior title last spring, trained in Toronto for four months this year under the tutelage of Canadian skating luminaries Brian Orser and Tracy Wilson. Asked how she would rate her performance set by David Wilson to “Tango de Roxanne” from Moulin Rouge, Kim answered shyly, "Very good." Kim, who was too young to compete at the 2006 Olympic Winter Games and World Championships, opened with a picture-perfect triple flip-triple toe combo and ticked off every subsequent element without a perceptible flaw, drawing a standing ovation from the 4,400 fans. Suguri boldly chose Bolero as the music for her program, explaining she wanted to show the burning emotion within. Czisny's teammate Katy Taylor, looking to improve on her troublesome 11th-place finish at Skate America last week, is 10th (43.16 points) in the 12-woman field. Skating to “Prelude” by Jesse Cook, Czisny recovered from an unfortunate opening, a stumble and a fall after popping her triple Lutz into a single. She finished in fine fashion, however, nailing the next two jump elements and wowing the crowd with exquisite extension on her spirals and lightening-fast spins. I wasn't focused enough on the Lutz," said a smiling Czisny, who was nonetheless pleased with her performance. Taylor, the 2006 Four Continents champion, assessed her short program in Victoria as an improvement from last week's skate in Hartford. "I just hope to keep improving for nationals," she said. The women have a day off before their final on Saturday.